Successfully representing an investment banker in claims for unfair dismissal and whistleblowing. Matthew represents clients across a wide range of business sectors as well as dealing with matters concerning public bodies (NHS, police and teachers). In his spare time, he enjoys playing football and tennis. Matthew has been working in employment law since 2011. He commenced his career at a boutique law firm advising large employers on everyday HR issues. He then moved to a local high street firm representing individuals and businesses in all areas of employment law and civil litigation. 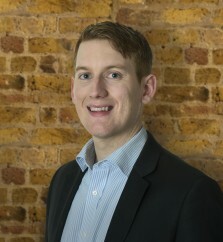 Matthew trained in the City with Levenes Employment gaining further experience representing both employers and employees on all aspects of employment law. He qualified as a solicitor in 2015 and joined Waterfront Solicitors as an associate in April 2016. Matthew is a member of the Employment Lawyers Association and Lawyers' Christian Fellowship. I represented a group of care workers in a claim for breach of contact against their employer. The claim involved complex legal arguments and by the time the employees came to us, they had already received advice from two law firms that their claims had very little chance of winning. It did take a lot of hard work, research and late nights but we got the result we were after. There are quite a few. The most common one I experience is miscalculating an employee’s notice and statutory redundancy pay which can lead to unnecessary disputes. What’s the best piece of legal advice you’ve ever heard? Never write down anything you wouldn’t want read in court. I wanted a job which is stimulating, diverse and one where I could help people. Being a solicitor ticked all the boxes. In a literal sense, my bike lights.